ICS controls specialized semiconductor test and measurement instrumentation and provides easy setup for complex instrumentation through an interactive Microsoft Windows graphical user interface and requires no programming by the end user. • Controls your instrumentation with one easy-to-use graphical interface. • Provides programming-free test setup generation. • Supports multiple measurement modes. • Provides powerful plotting capabilities. • Dynamically links data to other spreadsheet programs and databases. • Uses Windows clipboard flexibility to incorporate plots into documents and presentations. • Uses project files as a central location to store test setups and data. • Provides a hierarchical database engine that organizes and manges your data while eliminating DOS file naming restrictions. • Includes ASCII export of data which allows for advanced analysis on workstation, Macintosh, and PC-based engineering tools. • Delivers advanced post-measurement search and report capabilities. Automatically characterize new devices using auto-sequence execution of measurements. Data is stored based on user-defined attributes such as process, lot, wafer, die and more. 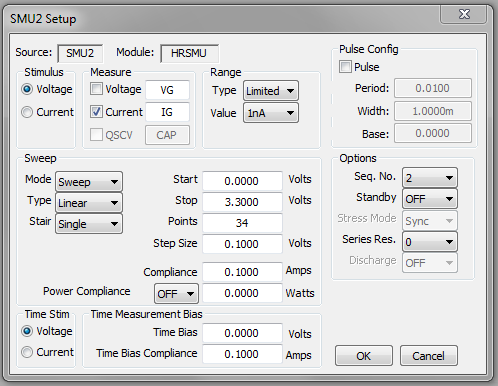 Solve in-line production problems by tracking parameters such as line width, resistivity, and mask alignment. Automatically export results to generate early warning reports. Debug VLSI subcircuits by using ICS's suite of measurement modes and powerful analysis functions to efficiently assess failures. SMUs in standby mode remain programmed as other SMUs are reset for the next measurement, eliminating the need for external power supplies. Automate your inspection of large quantities of devices by dynamically linking measured or extracted data, and performing comparisons to upper and lower control limits. 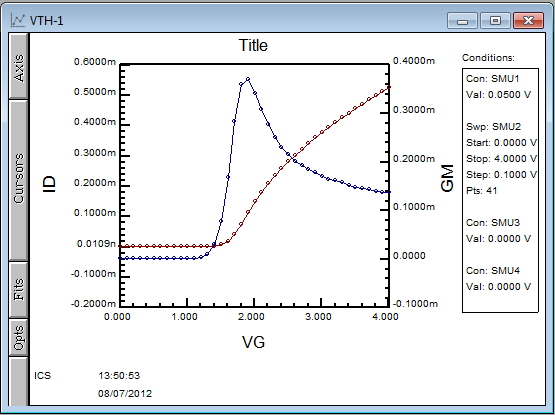 Automate parameter extraction such as Threshold Voltage using the Numerical Transform Editor. 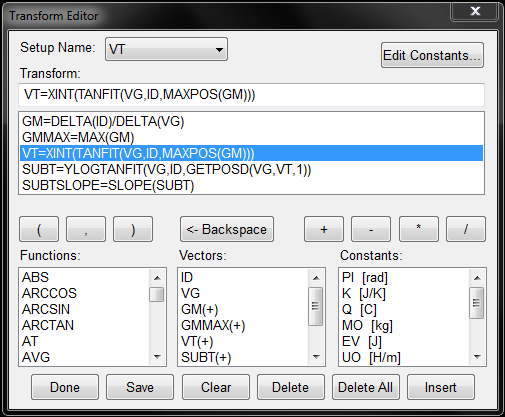 The Transform Editor defines nested equations used to extract parameters from measured data. Use the Setup Editor to configure measurement routines without writing a single line of code. 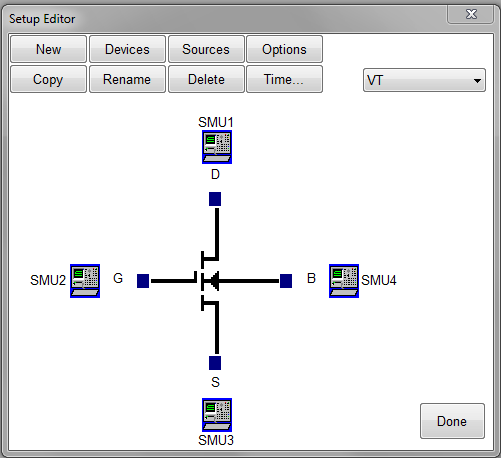 Instrument and test fixture connections are created by matching instrument icons to the terminals of a workspace schematic Device Under Test (DUT). A single click at each module or channel icon opens a Setup dialog unique to each source of the instrument.